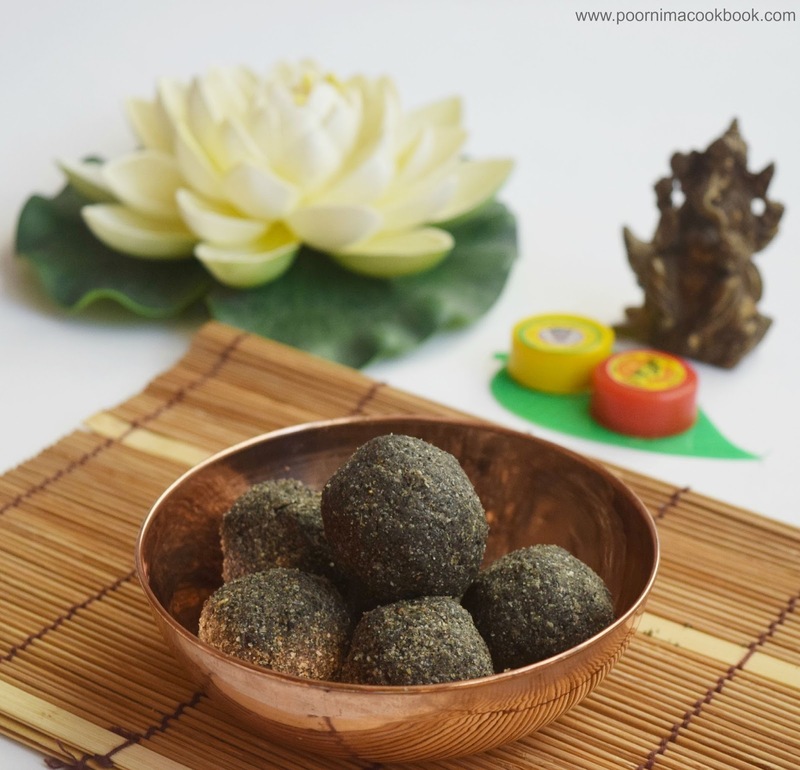 Here is a tasty, easy to make and healthy Ellu urundai / Sesame seed balls that is suitable for special occasions; particularly for Vinayaga / Ganesh chaturthi. Even beginners can prepare this without any confusion; Do try and give your feedback! Dry roast the sesame seeds in medium flame till it pop up. Switch off the gas and allow to cool. Add sesame seeds in a mixier / grinder. Grind it coarsely. Now add jaggery & cardamom powder along with sesame seed powder and grind till it combine well. 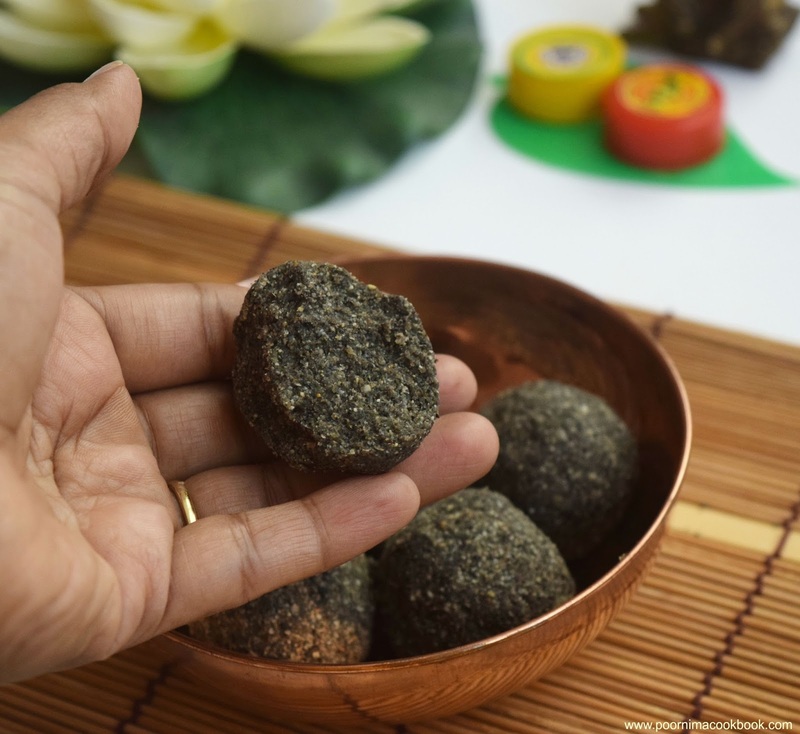 Transfer to a plate and roll them to lemon sized balls using your palm. 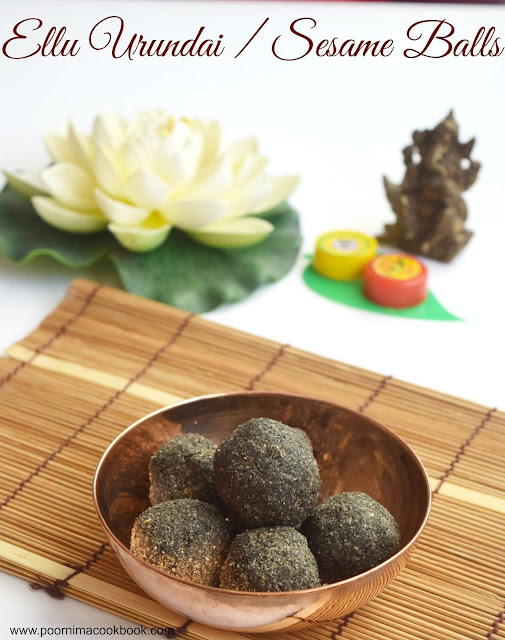 Sesame seed ball is ready to serve. In this recipe I have used both white and black sesame seeds; you may also try it with any one. If you find it hard to get the ball shape, add little ghee (clarified butter) and continue. You can store this for 3 to 4 days in room temperature.